Online marketing is all about search engine optimization these days. In order to get more views, more traffic, more customers, and ultimately, more profit, it’s necessary to release as much informational content as you can into cyberspace. One way to practice content marketing is to write guest posts on blogs, news reporting sites, industry sites, and anywhere else they are welcome. However, Google’s SEO standards are being raised higher and higher, and some individuals feel that guest posting is no longer effective for SEO purposes. Matt Cutts has recently tried to convince the masses to drop guest posting because it’s apparently useless, but that’s an opinionated message that could have serious consequences on the people who are really trying to do SEO right. 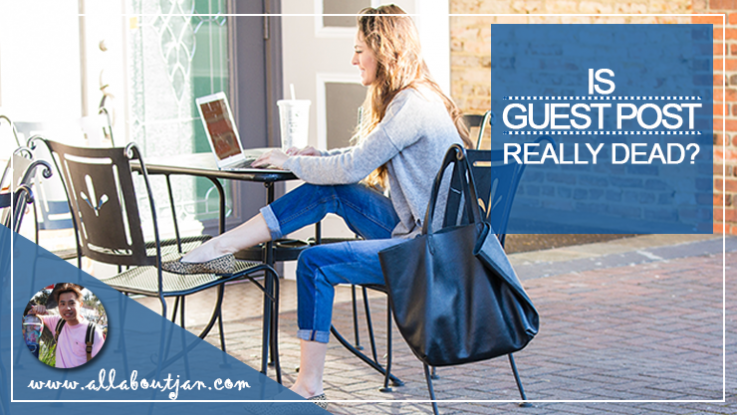 Guest posting is still thriving, and here’s why. Learning is something that most humans naturally strive to do. We yearn for more knowledge because it increases our chances of survival and professional success. Taking in more information also enhances our quality of life by making us more tolerant and understanding. In order to expand their minds, many people turn to the Internet for answers. The Web has been dubbed the “information highway” and is currently the number one place we go to do research. People use the Internet to look up all kinds of things from how to tie shoelaces or how to prepare a certain dish to where the closest gas station is or to review a product’s technical specifications. No matter how basic or advanced one’s curiosities or inquiries are, going online is the first thing that most of us do to learn more. People crave knowledge and good information because it’s helpful, and guest posts filed with substance can definitely help others out. Cutts argued that spammy posts will be detected and thrown out by Google. He has a point. When you write a garbage post that’s full of fluff, technical errors, false claims, or junk links, it will hurt your reputation as well as that of the site hosting the post. The problem is that Cutts doesn’t differentiate between a high-quality guest post and a low-quality guest post. He lumps all types of posts into a single category and suggests that people stop posting altogether. That is simply poor advice. Anybody with common sense knows that good information spreads around the Web like a virus. When your content gets featured on multiple reputable sites and pops up in all kinds of search engines, you’ve hit the jackpot. Only bad posts can do harm. Many sites that encourage freelancers or other guests to contribute know that they can gain some serious traffic with the right content. When Cutts encourages people to stop posting in general, he’s really doing the opposite of what many organizations want. High-quality content containing several good links is exactly what SEO is about. Guest posting on a more popular or established site means increased odds of getting your name out there. That’s the whole point, right? What does a bad guest post look like? Spammy posts usually contain several common elements that are pretty easy to spot. A bad post is typically really short in length. The recommendation is 500 words or more because it can be difficult to provide good information when you limit yourself to 200, 300, or even 400 words. Many spammers write short posts because they are easier to crank out. However, that doesn’t mean that a short post is automatically bad. It always comes down to content and execution. Content is king. If people don’t find your post useful, it’s junk. Flowery language and persuasive talk don’t mean a thing without solid facts to back them up. Poor grammar and spelling is bad news for any post. Posts that are stuffed full of links unrelated to the content of the post are also a big problem. SEO takes keywords into account, but using them too often can make the post read less naturally. Keywords also have to be placed in the right context and location. Is guest posting as a whole dead? No- and Google agrees. The more pertinent question, however, is whether or not bad guest posting is dead- and we can only hope that the answer to that is a resounding yes.